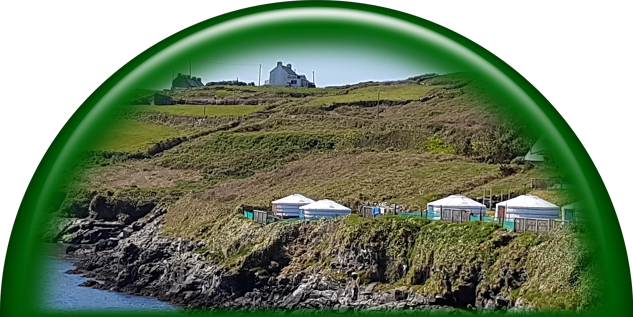 Yurt, Bell tent or Tent? 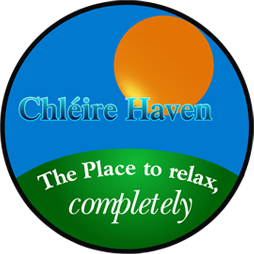 You have a choice for your holiday accommodation, all exciting in their own right and very different, the choice is yours. 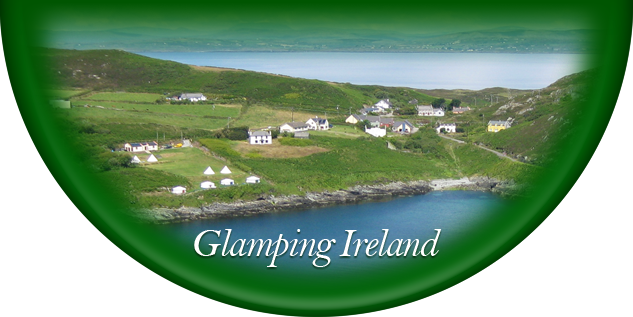 You can stay in one of our luxury Yurts or our stylish Bell Tents. Alternatively, you could bring your own tent, but check beforehand as we only have limited pitches available. See Your Camping page for details. Yurts originate from Mongolia and are made from natural fibres & timber. A wooden lattice forms the circular wall, with decorated poles pointing skyward to the centre window at the top. This framework is covered in thick felt and protective materials to make a warm snug, calm environment, perfect for you to relax in. Light your log stove, shut your wooden door on the elements and bring out your guitar or favourite book. Catherine Mack, travel writer The Irish Times, and co-editor www.greentraveller.com. Evenings in a yurt are an experience not easily beaten for cosiness and comfort! With soft furnishings, large scatter cushions, beanbags, real beds and log-burning stove - you can picture it now can’t you? 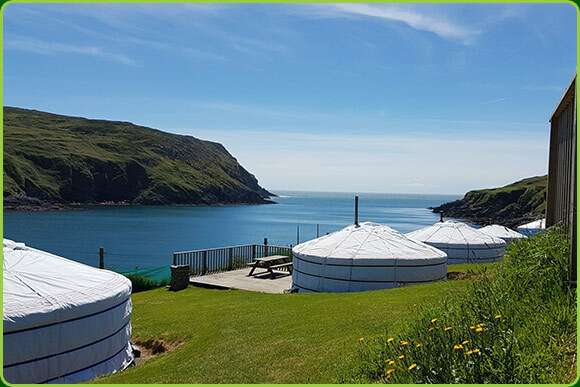 Star-gazing through the top clear circle of the yurt, sitting out on the decking on balmy evenings or chatting round the stove, the peace and tranquility of the island will envelope you. Fresh linen and cosy duvets, with pillows, on a double bed and on the two single beds if required. Your stove ready to light with fuel for your first night. Gas cooker with all cooking utensils, pans, cutlery and crockery. Fire extinguisher and fire blanket for your safety. Solar powered lighting and a cool box for perishables. Solar heated hot water with wet room showers and separate toilets. All the fresh air and open Atlantic views that you could wish for. 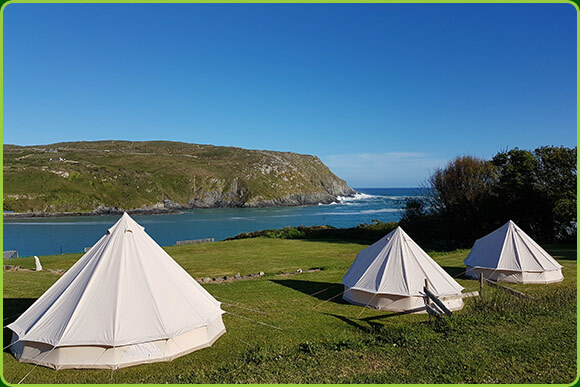 Staying in a canvas bell tent with family or friends, is a mixture of old fashioned camping in a beautiful place, with a very modern desire to be more environmentally friendly than just about any other holiday could be. On entering your yurt or Bell, instead of turning your back on nature outside, you will become closer to it, sheltered in your canvas cocoon.